For 300 years, Philippines had been colonized by Spaniards and it reflects on Filipino culture. Fortunately, we can see their remarkable contribution in our history by traveling back in time. Yes, it’s possible! 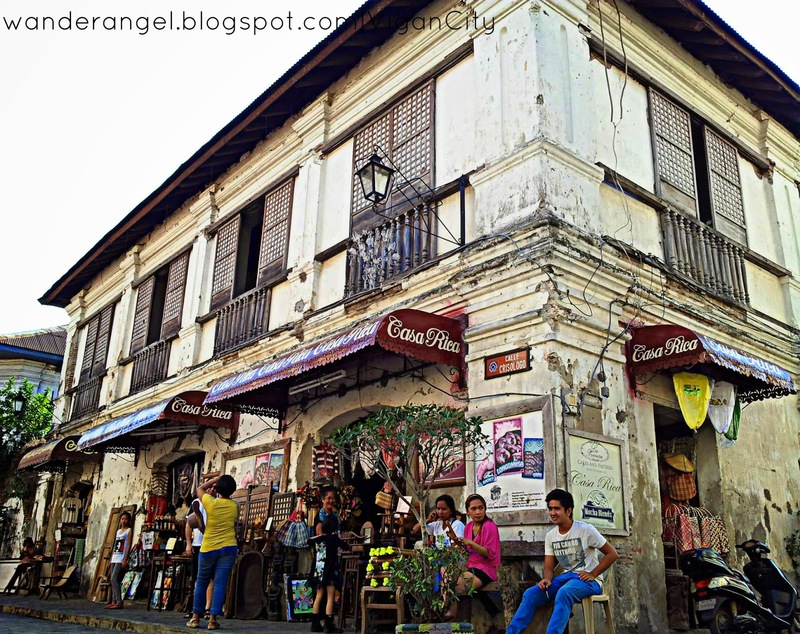 People travel to Vigan City in Ilocos Sur to experience what is Philippines like when it was under the Spanish government. 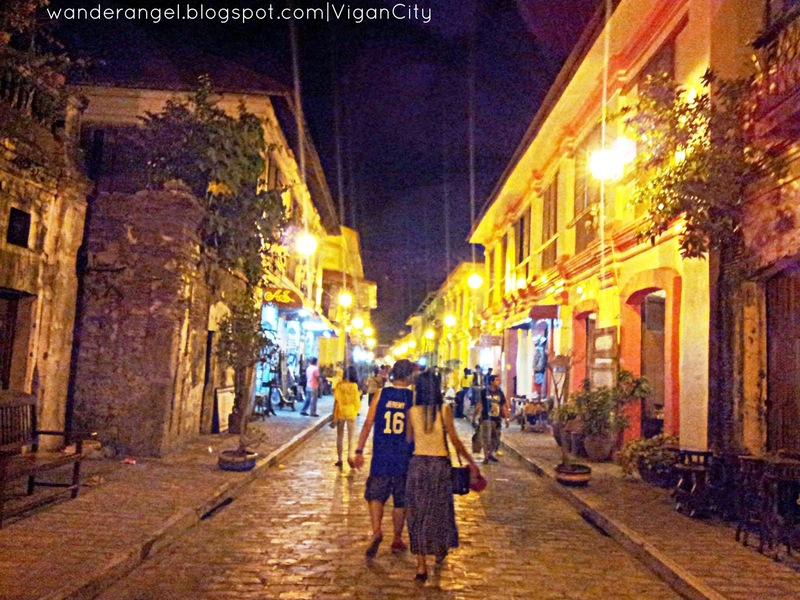 Vigan City is the favorite spot when filming history-themed movies. It boasts magnificent century-old architecture of ancestral houses and churches, fascinating handicrafts and of course, good food! The stretch of Crisologo street comes to life more with dimmed lights at night. A romantic walk-in-the-park for couples. Calesa. Horse at work even at night. 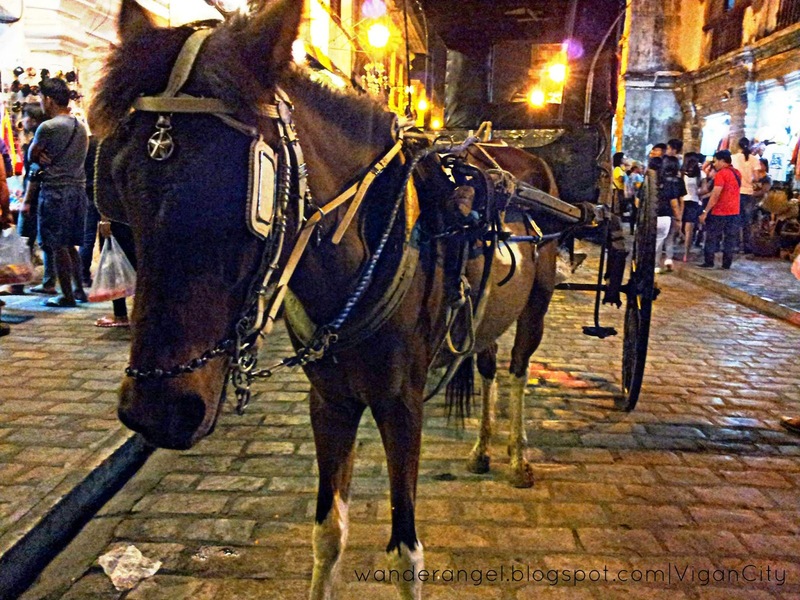 While jeeps are the kings of the roads in Manila, Calesas (horse carriages) are in Vigan. A ride costs 100 pesos. Where to go? 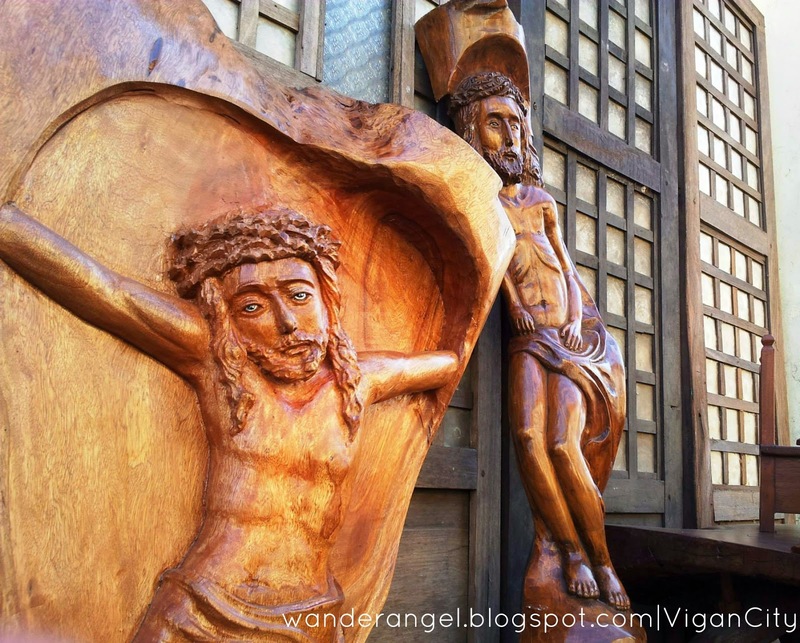 Immerse yourself in Vigan's rich heritage. 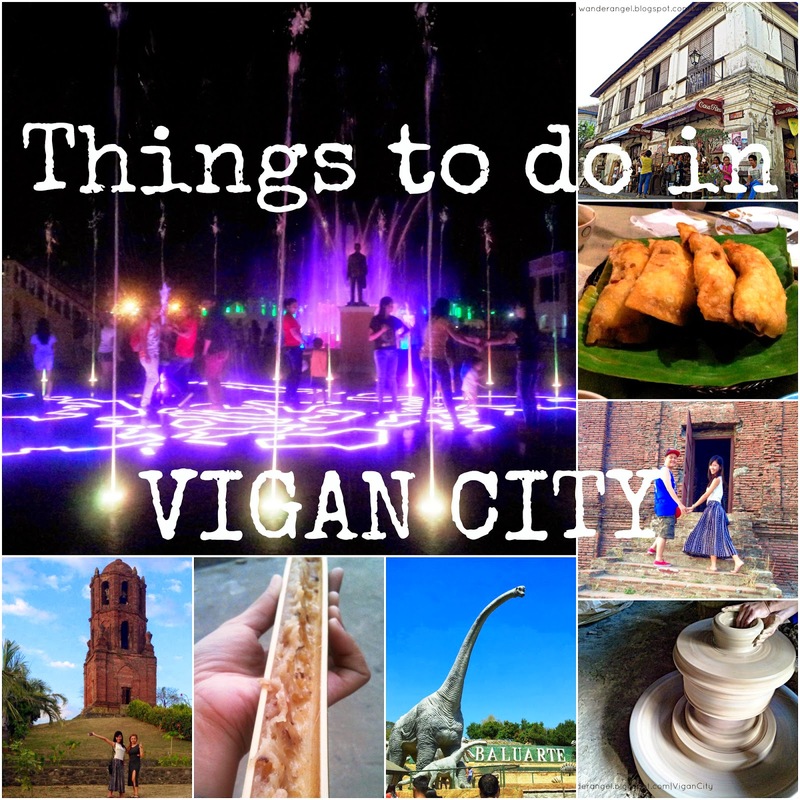 We stayed in Vigan for two days and we would like other people to experience as much as we did. Here are the things you can do in this historic place if you want to spice up your weekend. I chose CASA TEOFILA LODGE as it is recommended by some travel bloggers. Since it’s not located in the heritage park, the accommodation fee is much cheaper compared to other hotels. A room good for 5-8 people. Interesting pieces. 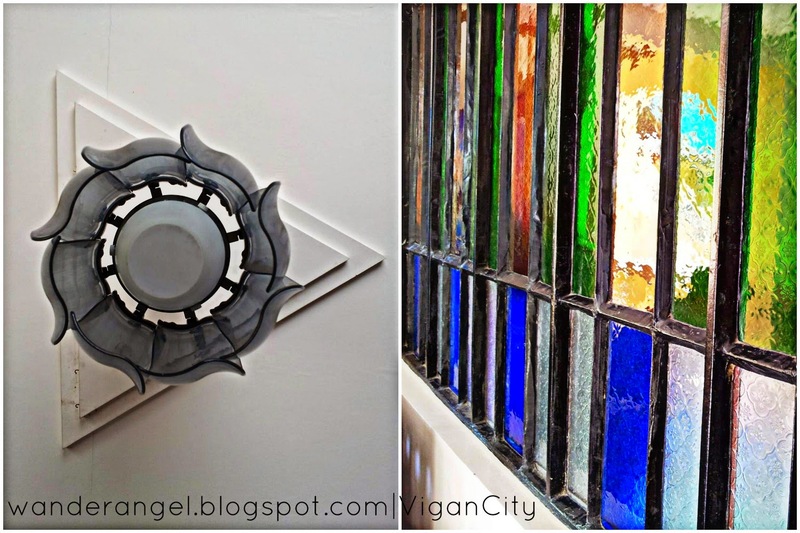 L- a ceiling lamp R- stained glass windows. Our goal is to spend most of our time wandering outside and the lodge’s purpose is only to keep our things safe and for sleeping. The place is relaxing and quiet because there are no tricycles and cars around. An overnight stay costs Php1,900 for a room sharing with 3 BEDS, air-conditioned, with private toilet, cable TV, and free Wi-Fi. They also have a cafeteria and huge parking lot. *We rode a tricycle throughout our tour in Vigan City. A single ride costs Php80, so we just shared the fare. 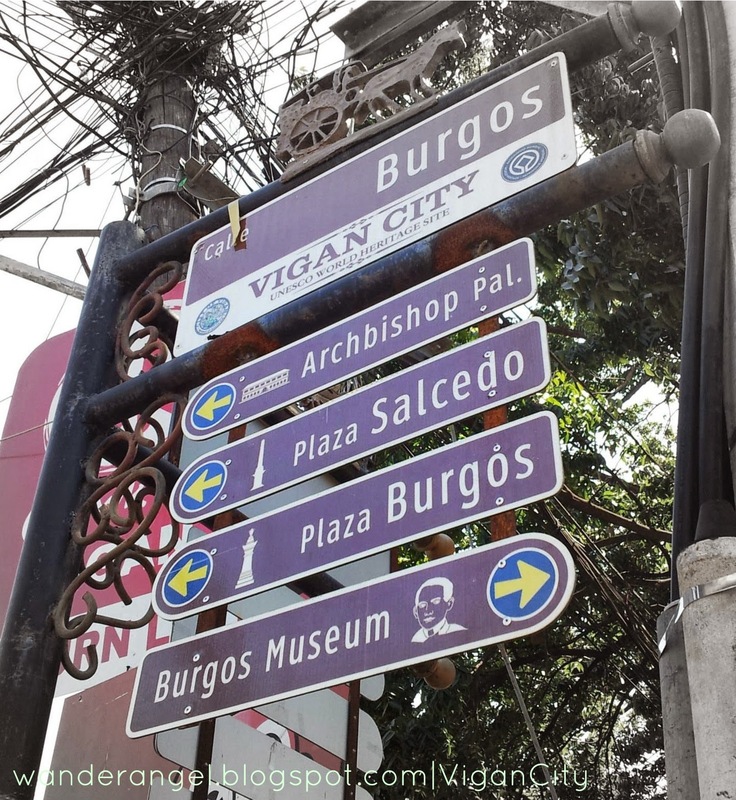 Souvenir shops, restaurants, Plaza Salcedo, Empanadaan and the museums/ancestral houses are close to each other in Vigan Heritage Park, so the entire day could be spent by walking. Just ask the locals for directions. On the other hand, Bantay Church and Bell tower, Baluarte ni Chavit, Ruby’s Pagburnayan and Hidden Garden are quite far so we just rode a tricycle. FROM PASAY CITY: Partas Bus lines bound to Laoag. The bus terminal is located near Winston Hotel along EDSA-PASAY. 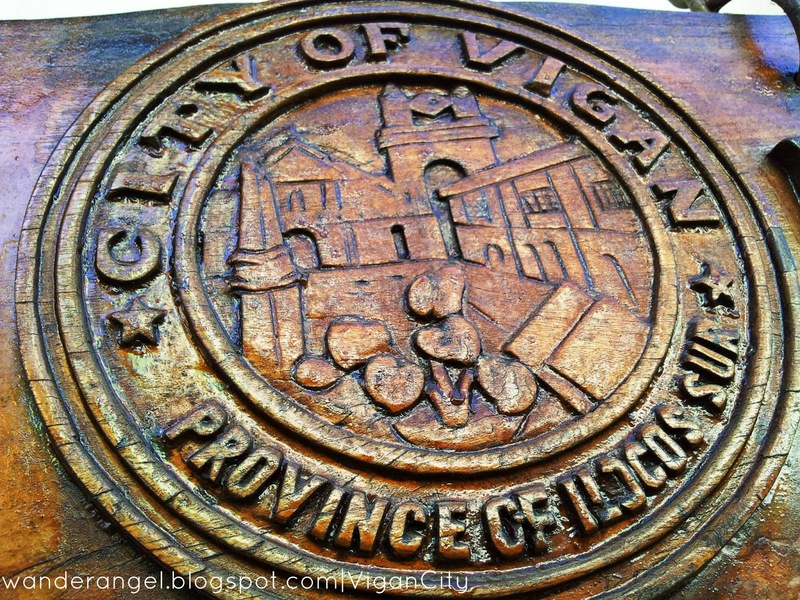 Tell the bus conductor to get you off at the Vigan Capital. NOTE: There’s no reservation for tickets, first-come-first-served basis. If you’re planning to go to Vigan on weekends, go to the bus terminal on Friday evening so you can arrive in Vigan the next day. Before, there was Florida Bus line that offered sleeper’s bus with no stops, has sleeping beds and comfort rooms. It saves time as it only travels 8-9 hours from Manila to Vigan. Unfortunately, it was involve in an accident that killed some passengers, including the comedian Tado Jimenez. Florida Bus line was suspended due to the incident. As a result, passengers bound to Vigan and Laoag flocked at Partas Bus terminals in Pasay and Cubao. We arrived at the bus station around 9pm hoping to travel early, but the terminal was jam-packed with people and buses were only few. We waited for hours until we got the 2am slot. We arrived in Vigan at about 1pm.